Hey everyone, and welcome back to Day 2 of sneaks for the big release tomorrow morning!!! Moving right along....here is my sneak for today! And so she thinks this set is just the cat's meow. ;) Perfect gift for little girls, my friends!! 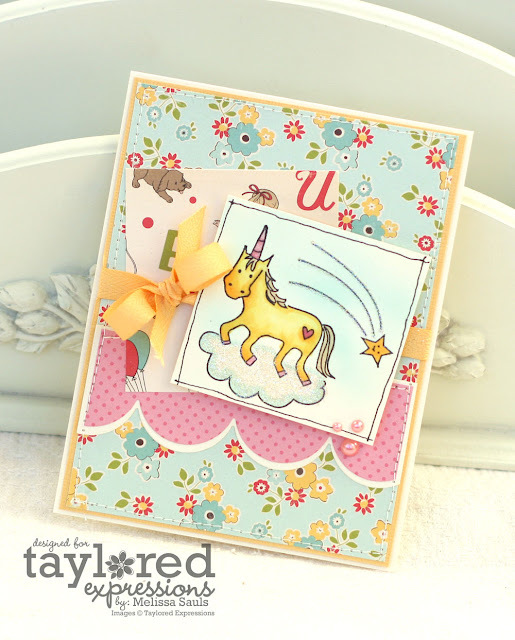 I used papers from the new Taylored Card Kits that are also being released tomorrow!!! There are FOUR to choose from and I used the October Afternoon Taylored Card Kit. I am in LOVE with this card kit!!! Oh, you will be seeing more projects with it later, trust me! The kit comes fully loaded with 10 solid colored cardstock card bases,10 neutral cardstock image panels, envelopes, patterned paper, ribbon, KaiserCraft rhinestones or pearls - all packaged in a Petite Storage Case. Kits are $14.95 each. Remember, there are 3 others to choose from, so you should find something perfect for your taste and stamping needs! Hey everyone! The time has snuck up on us again and that means it's time for the December sneak peeks! This release is jam-packed with many many goodies, so I'm going to just dive in and get started. Today the Bakers Dozen and myself are showing off new Calendar Products!!! A lot of us are sharing different kinds of calendar products as well as new Petite sets that coordinate, so be sure and hop around as you will be seeing something different from everyone! 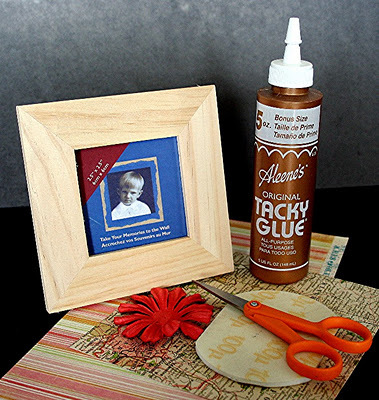 Mini Tear off Calendar plus Magnetic Acrylic Base or Desk Acrylic Base - Create one year-round art piece or a different insert for every month of the year. 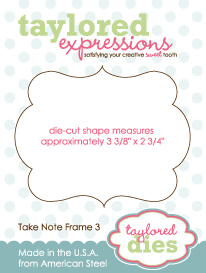 Taylored Expressions has created our own exclusive mini tear off calendar (2.25" x 3") that can be adhered to either acrylic base choice (sold separately) as well as being used on card and scrapbooking projects. The possibilities are endless. These will make awesome gifts! I started my calendar with a decoration for January, to start the year right! I used the new Snowflake Wreath, one of many new in the wreath series being sneak peeked for you today! This is a petite set of 7 images for only $7.95 from Nancy McKinney's Whimsical Wishes line of stamps. 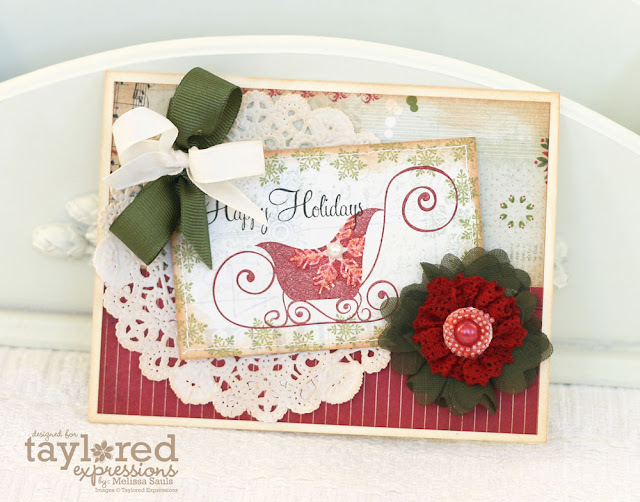 As always, it still coordinates with the matching Seasonal Wreath Die. I also paired it with the Take Note 3 Die so that my Wreath could really shine. :) I love the idea of using this for my calendar because I can simply redecorate a small page and slide out the previous month with the new month's appropriate decor! Now you just HAVE to go and check out everyone else's posts for today! Lots of fabulous calendar ideas and LOTS of new petites to see!! It's time to move ahead full force with Christmas! I created this little number in the hopes, that if I make something using an easy template, I would be able to mass produce some cards. I think this one fits the bill! I added the bows and flowers for extra "flavor" but you could definitely omit those two and it still comes out as a nice looking card, imo! I used one of my most FAVORITE Taylored Expressions Christmas sets from last year, Sparkle & Cheer. I used papers and accessories from the Holiday Wonder Project Pantry and everything just fell perfectly together from that. :) I LOVE this Project Pantry kit...get it while you still have a chance! I stamped the gorgeous sleigh on a piece of patterned paper from the kit and used the snowflakes from the same set to make a border. The negative snowflake on the sleigh has Diamond Stickles, which just can't capture the pretty sparkle. Oh well, just imagine little specks of pretty diamonds...we all like diamonds, right? Woohoo!! It's release day! My favorite day of every month! All of the stamps, accessories, and all those pretty papers you've been seeing all week long are available RIGHT NOW!! But real quick, we all have one last round of fun samples to show you, I hope you will hop around to see them all...PLUS, our newest Guest Designer, Lori Craig is joining us today!!!! Oy, I just ADORE this image! This is from the set Love Grows Here from TE's new illustrator, Emily Burger. You know I always have to include at least one CAS card...a card that is easily mass producible and minimally embellished, and here it is! There are no layers to this card...just the card itself. 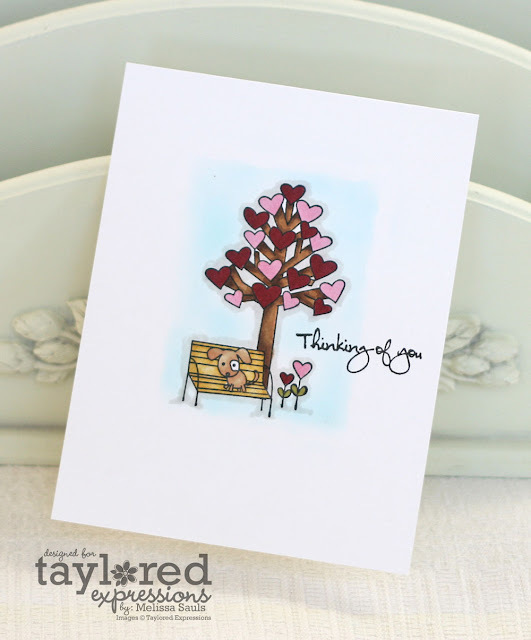 I stamped the "heart tree" image with Memento Tuxedo Black onto TE's Choice Snow White and then colored with Copics. And let me just tell you, I colored with my Copics pretty heavily and there wasn't even any bleed-through to back enclosure of the card! I love me my Choice Snow White cardstock, I swear, it IS the best! Lori Craig <-------- Guest Designer!!! Hey everyone!! It's the day before the big release tomorrow! Have you been loving what you've seen so far? Well there it still more to see!! Today we are sneaking THREE new sets, Thankful, Thanks a la Carte, and Sunflower Wreath. We are all sharing a sample of a different set, so you are definitely going to want to hop around to see what you may find! Today, my sneak is....are you ready? You love them! It's the next series in the seasonal wreath set! Ok, aside from the Christmas holiday wreath, this just may be my next favorite! I LOVE the way these sunflowers look on the wreath and the feel of Autumn that they emit. Ahhhh...changing colors and crisp, cool weather...BRING IT ON!!! I used some Kraft for my card base and some patterned paper from October Afternoon Campfire Collection and the new Mini Leaves Taylored Die set that was snuck to you on Monday. :) I simply die cut some of the fall leaves with felt and added them as a fun embellishment. 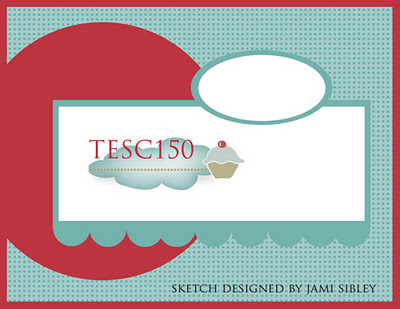 If you are new to this set, it was originally concepted by Jami Sibley (our very own Baker's Dozen Coordinator) and illustrated by the uber talented, Nancy McKinney for her Whimsical Wishes line of stamps. Of course, there is a matching die, the Seasonal Wreath Taylored Die, which you won't want to be without for this cutie! Hello again and Happy November!! I hope you had a fun Halloween yesterday and maybe are coming back down from that sugar high, am I right?! lol! Even more fun....did you enjoy the sneaks that you saw yesterday with the latest Labels of Love II set? Well, there is much more to see today!! 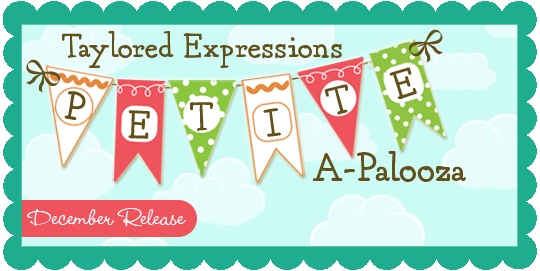 Today the Baker's, along with some lovely guests, are featuring 4 new adorable sets and I just can't wait to see all the samples for this one!! The first set is a special one, in that it is from a NEW ILLUSTRATOR!! This release, we have the pleasure of introducing a new illustrator, Emily Burger along with her line of Embracing Grace stamps. 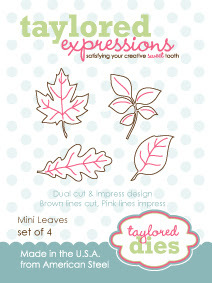 She has designed a set, Love Grows Here, which features 7 tree vignettes for year-round fun and versatility! Ack! How cute is that? 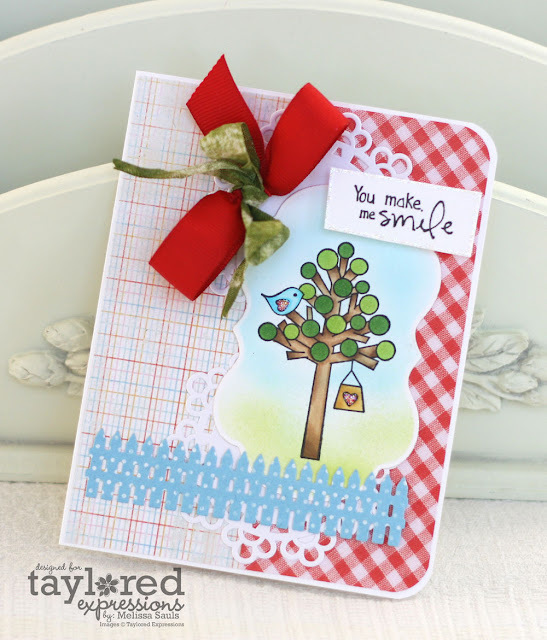 I used the "tree in bird" vignette...isn't it just adorable?! And let me just tell you, not all of the trees look alike! ;) I wanted to do something fun and quirky, just like the image, so I used papers from the MME Everyday Flair 6x6 paper pack. I also think that the Picket Fence Border Die makes such a cute touch! But there's more today!! While some of the others are sneaking a Moka Katie and Life is a Dance, I am getting to sneak with for you the other Moka...Moka Morgana!! Anyone else buy a basketful of these frames when they came out a while ago? Yep, I still have quite a stash!! Anyway, I decorated it with papers from Authentique's Uncommon 6x6 papers and then added the adorable Moka Morgana and perfect sentiment to my frame. I just love it!!! Moka Morgana is illustrated by the super talented, Nancy McKinney for her Moka Collection. Her daughter actually inspired this Petite set of 5, and is also named after her! Then I finished my frame with a Felt Pearl Blossom in Pink from Maya Road. And that's it for me today!!! I hope you can take some time to see what everyone has in store for you...I can't wait to see myself! !